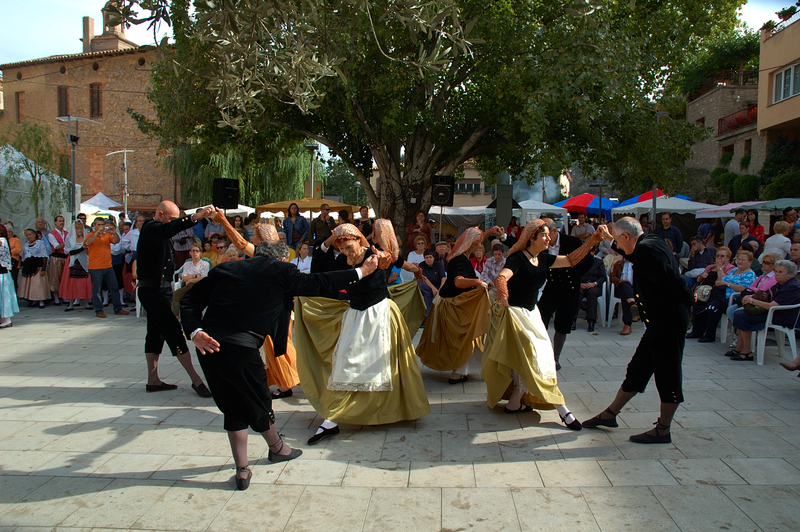 This is what is called Esbart Dansaire, in English a Catalan Folk Dance Troupe. I photographed them while visiting the annual market fair at Monistrol de Montserrat, and I am not sure if they are local Esbart Monistrol Dansaire or Esbart Rosa d'Abril of Castellterçol (another Catalan town). I apologize for not grabbing the name properly. Anyway, the most important thing here is that you get in touch with Catalan traditions and get to know other folk dance expressions different from Sardanes, which are much more extended. The very first troupe danced as far back as 1902 in Vic, Girona but the traditions they represent were originated long before. a stunning shot of tradition! very nice photo and again very informative post. Is still so warm in Barcelona Carlos? Excellent picture Carlos, akin to the Morris dancers in England. Magnífic bloc. Un petit detall, per això: Vic és de la província de Barcelona.